Thanks for this run down of various talks! It was a great conference! Theorizing the Web has been fascinating, but a bit of a shock to the system after AdaCamp. TtW is gloriously DIY, which has a lot of benefits: it’s particularly great to see an academic(ish) conference that’s open to activists and artists, and not hideously expensive to attend. I did miss the efforts AdaCamp went to in building a safe and inclusive space (including having a clear photo policy, pronouns on badges, and marked walkways for accessibility) – TtW has an anti-harassment policy, which is a great start, but I’d love to see a few more active steps around publicising and extending this policy. People are more likely to search for specific books in which they are actively interested and that justify all of that effort of reading them. Electronic images and sounds, however, thrust themselves into people’s environments, and the messages are received with little effort. In a sense, people must go after print messages, but electronic messages reach out and touch people. People will expose themselves to information in electronic media that they would never bother to read about in a book. ~~ Joshua Meyrowitz, “The Merging of Public Spheres,” No Sense of Place: The Impact of Electronic Media on Social Behavior, Oxford University Press (1985). On February 14th, 2005, YouTube was founded by Chad Hurley, Steve Chen and Jawed Karim, who formerly worked for PayPal. The first video Me at the Zoo was uploaded and published on April 23, 2005. From that moment on everything changed for video online. No more waiting forever for videos to upload on dialup connections or other. YouTube allowed video to be easily stored and shared and you could comment on others’ user generated content. You could post for free on the platform. The first viral video on YouTube was the Hey Clip by Israeli YouTuber Tasha and her best friend dancing in her bedroom lipsyncing a birthday wish to her boyfriend to the sounds of The Pixies. Stay tuned and there’ll be a great bonus for the real YouTube fans at the end. The Hey Clip video has been viewed over 34 million times. My data collection of 800+ videos of over 1000 girls has collectively only 43 million views. Imagine over 600+ Superdome stadiums to full seating capacity, in either case. Black girls are lip syncing but with the narratives of their booty popping — kinetic orality that tops MIley Cyrus’s tail with no tale. Today, YouTube has over 300 hours of video uploaded every minute. That’s 5 hours uploaded every second of the day. It gets over 1 billion unique visitors a month. It is a massive archive, popular culture network, a TV, a how-to service, a community of creators, and, of course for many a risky graveyard full of future nightmares waiting to happen. The digital persistence of video means our personal media will linger on well past the shelf life of our adolescence (chronological or otherwise), including the stupid jokes, pranks and aggressive acts of hatred or sexism that we once thought was merely funny or might go viral. MIllions of those moments did not. We all probably gave up lots of personal ID markers that might allow a future college or prospective employer to search and never tell on Google. (Aside: I also learned last night that Google Trends now can filter searches to YouTube videos.) We may lose a prospective and a future job ten years from now for something we did 10 years earlier. A 72-year old Canadian high school drama teacher, who made in film 40 years before YouTube ever existed, was terminated from a position she held for years because of the online publicity of her experience 50 years earlier. It was made public online last June 2014. We are all not ready for the persistent, searchable nature of the contents of the world’s largest video archive and the second-most popular search engine in the world. You can run but you won’t be able to hide. Yes, the Bedroom Intruder is for real, yo!! It’s Google! 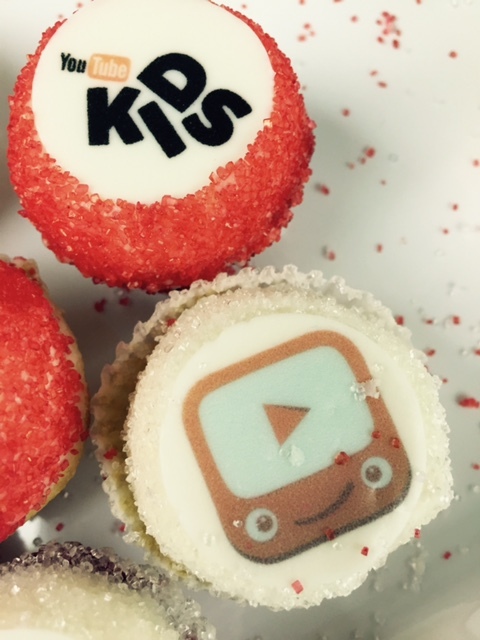 Last night, I attended an event at YouTubeSpaceNY on the new YouTube Kids app. I learned A LOT. Got a number of new ideas for my channel and getting the word out about the CSI work my students and I have been doing around my 800+ twerking videos. That’s 150 hours watched of black girls twerking from the “privacy” of their bedrooms on YouTube. 150 years after the 13th Amendment…but that’s a story for another post. I hope my students and I will make a video tomorrow in honor of the 10th anniversary and upload it as I can bet lots of YouTubers will be vlogging about it in some way or manner. Most of my students were 8 years old 10 years ago. Many of the videos in my data collection that most concern us are 8 year olds. So we might make a video about what kinds of things you were doing at 8 compared to now online. In the meantime, enjoy this exclusive YouTube Spotlight video. It describes the community part of YouTube to a “T”. Happy Anniversary YouTube and the YouTube Nation!! Ten years ago was a big year online and it was also a big year in the history of twerking. Hurricane Katrina hit New Orleans in Dec of 2005. Much to commemorate with the #blacklivesmatter campaigns that might not have been possible in the way they have been without online video and social media platforms. And just for a treat, the first black viral YouTube star Tay Zonday! We love our black people to be stuck in a stereotype. This is like the Don’t Worry Be Happy of YouTube. Enjoy! So now, for the bonus!! 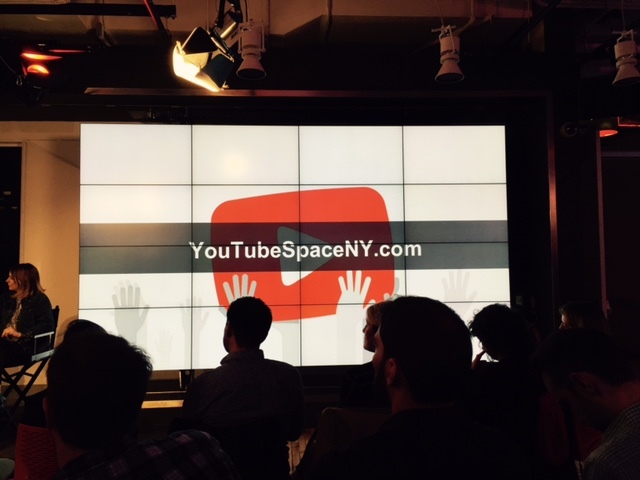 The presentation from last night’s YouTubeSpaceNY event about the new YouTube Kids App. This content should appeal to you hard-core YouTubers or up-and-coming vloggers, esp. those interested in the family and kid-friendly spaces of YouTube. Click on the pic on the YouTube Anniversary to access the bonus content. In class Monday, I shared that these deaths at the hands of the police are numbing my ability to cry it’s happened so much throughout my life since childhood. A naive Puerto Rican/ Dominican male whose been pretending he can get by in the class was gleeful and said “awesome!” after I shared that yet another man was shot dead by the cops on video. Stunned, I asked what was so awesome about it. He naively shared, as Darnell L. Moore, points out in the repost below, that this time would actually prove something. His naive public declaration does more harm to others and himself than he knows. It speaks to a problem I face in higher ed among students and faculty who resist that race/racism intersectionally affects them. This young man said in class weeks back that he doesn’t identify with race or ethnicity ; he doesn’t identify as Dominican or Puerto Rican. He’s American. More power to his right to self identify but his reaction was utterly clueless about not only the history of capturing such abuse on video and the lack of effect it has on structural/state violence but also the very thing I talked about in my TEDx talk on self worth being directly shaped by how others view us as racialized and gendered subjects, as organisms living in an environment. This numbness in the moment it’s happening leaves me reducing individual lives lost to a nameless black man. I never shared his name Eric Harris was somebody’s son, somebody’s love of their life, somebody’s guardian as well as all his not so favorable acts and connections. It’s why we stand indivisible behind #blacklivesmatter with all who join us. Tulsa Sheriff’s Office Robert Bates, 73, shot to death suspect Eric Harris in Oklahoma after pulling out his gun instead of his taser, all captured on cop cam. An arresting officer whose knee pinned the head of the violently assaulted man to the concrete said point blank “F*ck your breath!” as the wounded man gasped in shock at being shot and gasping for his last breaths of his life. It’s only at films mediated by a screen that individuals who are marked as oppressed groups of color are allowed to see ourselves as human in public. At least that’s how it feels. For me as a child 40 years ago, this began first at home, watching television. First, it was the film “Cornbread, Earl and Me” (1975) with young actor Larry Fishburne when I was in junior high. I remember only the dead son not the surviving mother. Or “Cooley High” (1975). “Boyz in the Hood” when I was pursuing my doctorate. This is patriarchal hegemony at work. It shapes the algorithms of my memory. Even as a woman I remember all these scenes about the boys and men before I think of the character of Celie in Alice Walker story shot for the big screen by Spielberg — The Color Purple (1985) — which broke my heart when I first saw it on TV while pursuing my master’s degree. Or even Tyler Perry’s 2010 version of For Colored Girls which brought on sobbing tears but left out the realities that matter for black and brown women that were so eloquently represented on stage in Ntozake Shange’s original choreo-poem which I saw when I was in junior high. I don’t remember feeling any way about it then but the I later bought book in grad school? Genius! Only in the dark, narrowly focused attention of screens mediated by actors distancing the reality from its lived moments did it seem that I/we were allowed the permission or the freedom to mourn publicly and to resist before social death. It was only in the personal space of a private or somewhat segregated theater that I could grieve quietly and publicly mourn and even laugh to resist the hegemony of what has come to always seems like a destiny for us black and brown folk–man, woman, and child. And then there’s us women who are black and brown and the girls. Really makes me wanna holler, they way they do our lives, to paraphrase Marvin Gaye. A better quote from Zora Neale Hurtston hits the mark. I have no separate feeling about being an American citizen and colored. It merely astonishes me. How can any deny themselves the pleasure of my company! It’s beyond me.